Monday, September 24, 2018 4:00 – 5:45 p.m.
As supporters of Grandparents Against Gun Violence, we advocate for gun safety and sensible gun regulations. We email, snail mail, telephone, text and demonstrate, and it all adds up. At our September meeting, we’ll see how creative people in our community use their special talents to advocate for gun violence prevention through their art. We’ll see Bob Unell’s pithy cartoons that appear in the Kansas City Star and Rusty Leffel’s arresting photographs displayed at the Plaza Art Fair, and hear from each of them why they use their talents to convey their concern about gun violence in very powerful ways. Bring your friends, neighbors and family! 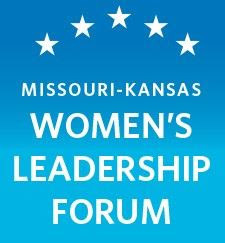 At this empowering event you’ll hear inspiring candidates, elected officials, party leaders and grassroots organizers, including Mayor Sly James. You’ll leave with turnkey tools you can use from home, or have the opportunity to sign on with specific campaigns to create a huge turnout. After every senseless shooting like the one that claimed three lives at the video game competition in Orlando, FL last month, the national conversation about gun violence continues. Rarely, however, does anything change. Come hear Forum keynote speaker Candace Lightner, founder of Mothers Against Drunk Driving (MADD), tell us how she helped turn that era’s conversation about drinking and driving into real action. She’ll then join a diverse panel of experts sharing their insights about how we can do the same with gun violence. Panelists include Micah Kubic, Executive Director, ACLU of Kansas; Julie Conner, Ed.D., educator and TED speaker; Gina English, Kansas City, MO Police Department Social Work Coordinator; and Daniella Rodriguez-Chavez, of marchforourliveskc. KCPT’s Nick Haines will again moderate. You’ll also have the opportunity to share your thoughts and brainstorm ideas for action while enjoying a box lunch. Kansas City, MO Mayor Sly James will join us as he has for our previous four Forums. Become a Forum sponsor and meet Candace at a Patron Reception the afternoon of October 7 at the Kemper Museum of Contemporary Art on the Plaza. Register for Forum sponsorship here. Individual Forum tickets are also available. We anticipate record attendance, so register today! Also, we have many opportunities to help with the Forum, from sharing and distributing the Save the Date flyer, making follow-up phone calls to sponsors, volunteering the day of the Forum and more. If you’re interested, please contact Joan Jacobson. This year turn the tables and celebrate National Grandparents Day by honoring your grandchildren with a gift to Lock It For Love! 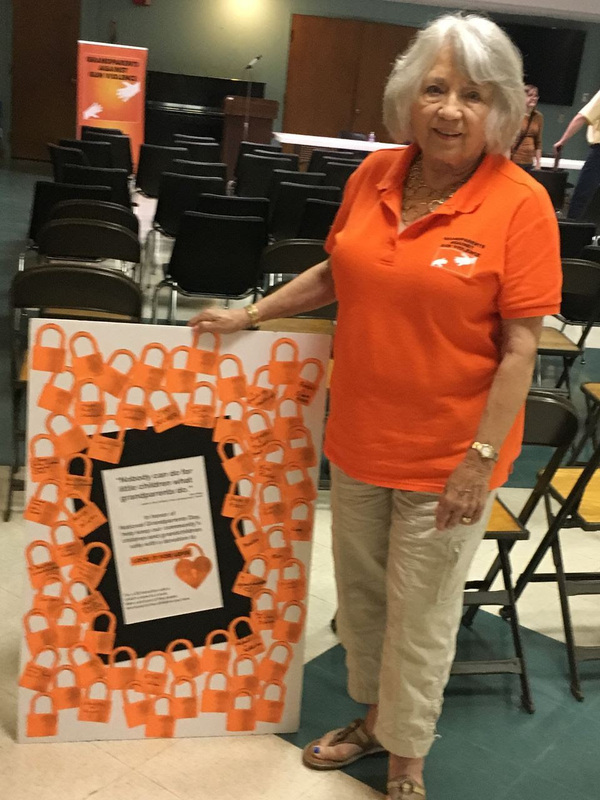 At our August meeting we displayed a wonderful poster of gun locks designed by our talented Board member, Jan Pickler. Each gun lock distributed through LIFL costs $5. 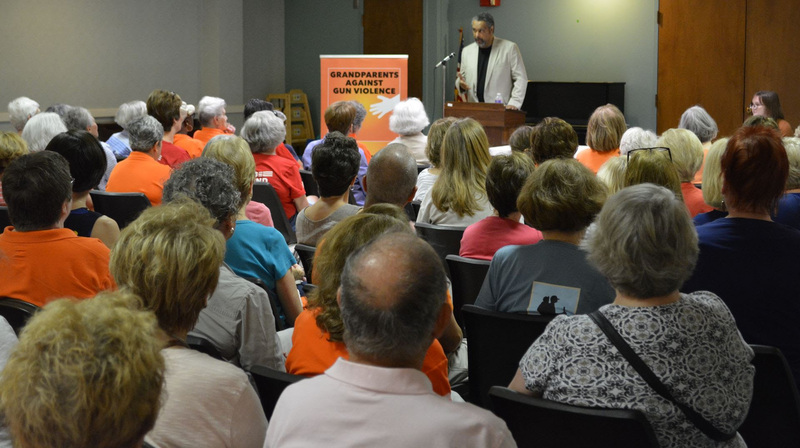 Many at the meeting donated that and more in honor of their grandchildren, whose names they wrote on the poster’s bright orange gun lock cut-outs. We took photos of donors who wanted to share their gun lock donation with family. The poster will be available again for your donations at the September meeting, or visit our website and donate right now! 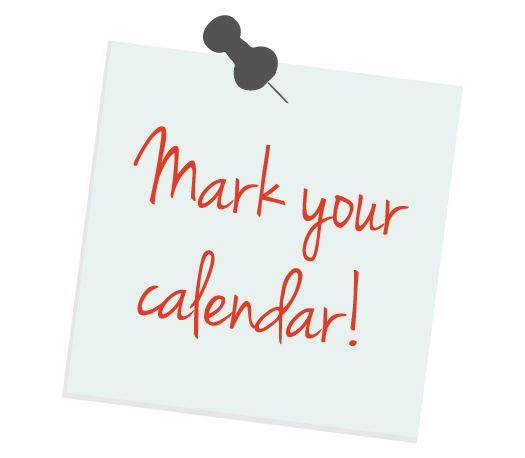 PLEASE NOTE: The Grandparent’s Day event GAGV planned to co-sponsor with St. Mark Center at United Inner-City Services on September 8 has been re-scheduled for November; details to come. After the Primaries: Now the Real Work Begins! Attend Town Hall meetings and candidate debates. The League recommends visiting its Vote 411 website for non-partisan info on voting requirements and candidates’ positions on issues. 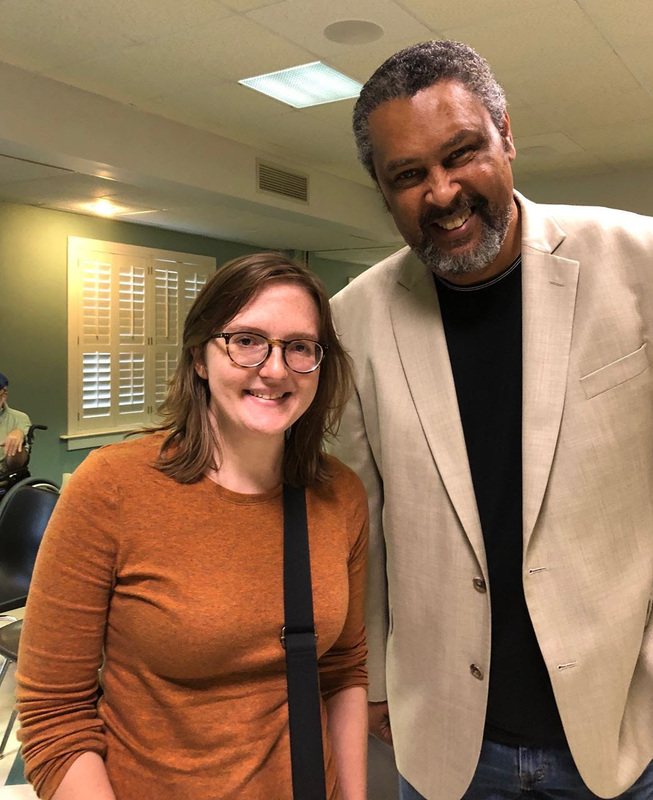 More than 100 people heard KU screenwriting professor Kevin Willmott and Megan Jones, KU graduate and citizen activist, explain their opposition to the Kansas law allowing concealed weapons on college campuses and their different approaches of advocating for change. Our two speakers may differ in height – but they share a commitment to advocate for change to the Kansas law allowing concealed weapons on college campuses. Jones, who moved from Indiana to KU in 2015 to pursue a master’s degree, said “If I had known, I would have chosen another program in another state that didn’t allow guns on campus.” She has worked tirelessly – and mostly alone – lobbying legislators in Topeka to enact sensible gun regulations and to repeal campus carry. Read more in the Meeting Minutes. Both Willmott and Jones urged us to refuse the “normalization” of concealed carry and challenged us to advocate for change. That call to action is among the reasons we’re forming The Advocacy Project to offer an ‘Advocacy Action’ at every GAGV meeting. If you’re interested in suggesting action ideas or helping implement them, please email GAGV. Just one view of the 100+ supporters who attended our meeting – record attendance! 1,000 Locks Distributed and Counting! In only its first year, GAGV and LIFL volunteers have distributed more than 1,000 free gun locks. The milestone lock was given on August 12 at the Overland Park Convention Center’s Baby Fair. Our police partners who demonstrate the correct way to use the gun locks now come from seven different metro departments; in Missouri, KCMO and Independence and in Kansas, Overland Park, Gardner, Merriam, Shawnee and Kansas City. Most LIFL presentations have generated invitations to present our program and information about GAGV at other events. We’ve accepted 15 such invitations for September and October and need volunteers like you to staff them. To date, 43 volunteers have staffed 47 events and distributed 1,082 free gun locks. The locks have gone to individuals from 179 different zip codes including some neighborhoods in the metro area that are most plagued by gun violence. In addition to distributing the gun locks, LIFL volunteers have shared hundreds of brochures about gun safety and responsible gun ownership. An average LIFL presentation costs about $100, including cost of the locks ($5 each) plus printing expenses. Because the program is funded solely through GAGV, any donation is greatly appreciated. Please consider contributing today. Of course, the most important figure is one impossible to define: the number of accidental shootings or suicides LIFL may have helped prevent. That’s what drives the program and its continued growth along with your ongoing personal and financial help. “It’s a tragedy. It comes back to an unsecured weapon . . . but we have children (and) have to be more diligent keeping our weapons away from children.” – Detroit Police Commander Eric Decker: 2-year old boy stable after shooting himself with gun found under pillow. This article’s call to action describes exactly the work we’re doing with Lock It For Love: Want to prevent school shootings? Lock up guns. Data from the Centers for Disease Control and Prevention show that from 2006 through 2016, roughly 218,000 Americans ended their lives using a firearm – more than 21,000 per year: Sharp Increase In Gun Suicides Signals Growing Public Health Crisis.